Behind every successful artist, is a host of people toiling away behind the scenes. SMI debuts a new feature called “Inside Out,” in which music industry veteran Robin Fairbanks provides a peek into the inner workings of the music industry from the inside . . . out. • Wrap your van or display your band name on your van, bus, car, or trailer. That’s an open invitation to thieves to help themselves to your gear. • Leave show flyers on your dash or seat, nothing visible that would identify you as a band. 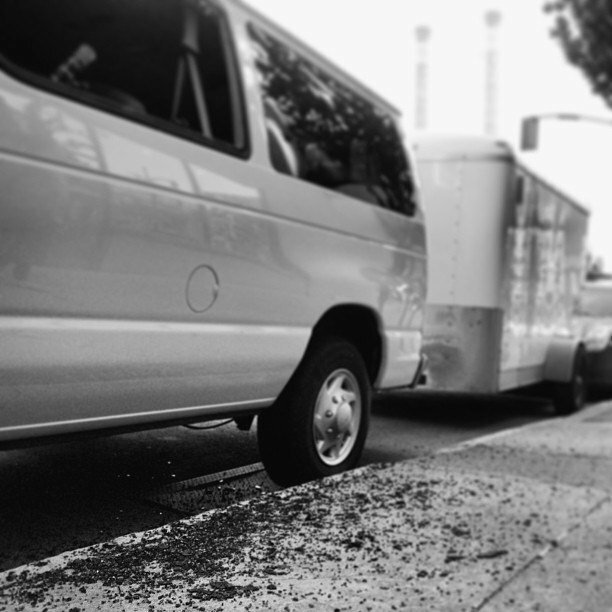 • Park your van or trailer on the street or in any dark/sketchy lots or areas. It only takes minutes to smash and grab. • Take any instruments or gear of heirloom or significant value on the road unless you’re prepared to lose it. • Leave anything of value in the Green Room unattended. You never know who’s in there, and most clubs don’t have security watching the room. • When loading-in or out, never leave any gear unattended. Always have one member who stays with the vehicle until all gear is inside. • Never lapse on watchfulness, if you do, your band will suffer for it. It’s when you become comfortable and complacent that incidents occur. • Think you don’t need an alarm, heavy duty locks, or a club? Don’t make it easy on them, if they’re going to get your gear, make them work hard for it. The noise may alert someone. • Announce at shows where you’re staying, or tell anyone at the club or in a radio interview. • Park in well-lit/safe areas. Try to stay in hotels outside the city and downtown areas. • Create rituals of checking the vehicle frequently and be diligent. Back the van up so the door is as close as possible to the building to prevent entry, and park right outside your room. • Install a car alarm, a club, and heavy duty locks. • Bring your guitars into your room at night, and if you have space, all instruments, no matter how tired you are. • Park where you can see the vehicle at all times when stopping for food/restroom breaks; or take turns watching the van while the others go in for takeout. • Pay attention to anyone hanging around the area at load-in or load-out that is not a member of another band on the bill. They could be casing you, or may follow you to see where you’re staying and break in later. • Leave heirloom or sentimental instruments at home for studio or special occasion gigs. • Take all personal effects (wallets, watches, i-pads, cellphones, etc., with you on stage, or have your manager or a trusted family member/friend gather them up and hold them for you until after the show. • Get a Square Reader and a nationally recognized bank account so you can deposit merch sale money nightly when on tour. Never leave money in your vehicle, in an unattended cash box, or carry large sums of money on you. • Get instrument insurance. Keep receipts for all purchased instruments/gear/computers, take photos, and make an inventory list with serial numbers and full descriptions in a separate file. Keep them on more than one computer or on the Cloud where you can access it from anywhere. • Assign someone from your camp to stay in the Green Room to watch over your personal belongings. • Report stolen items to police and insurance company immediately, and provide them with all the details and serial numbers. • Post immediately the photos/descriptions on your social media. Ask your friends to watch for these items and contact you if they see them, or someone tries to sell an item to them. • Call or visit pawn shops in your area and within nearby counties. Give them the photo, description, and serial number(s). Visit Craigslist. Most thieves will sell the instrument/gear within 24-48 hours. • Contact any company that you have endorsements with to see if they can help provide you with temporary loaner instruments/gear. SMI: What do you look for when someone brings in a guitar for trade or sale that may tip you off that it might be stolen? TB: We have a great grasp on what a stolen guitar looks like when it comes in. Sketchy people, hurry to sell, no case, “a friend gave it to them,” among other giveaways. We don’t even bother with sketchy deals. The price could be great, but if the vibe is off, we just say no. SMI: Do you run serial numbers off guitars brought in to check if they’re stolen? TB: We keep guitar serial numbers and check around Craigslist and Facebook to see if anyone has posted about stolen instruments. When a guitar is stolen, generally it’s a drug addict. They will sell it day-of, or as quick as possible. They’ll show up at pawn shows usually day-of. You “must” provide an ID to sell, but sometimes they’ll have another person sell the guitar for them and split the cash. Pawn shops hold the instrument for 30 days in case it’s stolen, that’s why it’s important to file a police report immediately. The personal information of the seller is private and the pawn shop can’t give that information to the public. Take inventory of your instruments/gear so hopefully they turn up at Guitar Center or a pawn shop. We do more personal transactions here, so we don’t entertain the anxious junkie with a guitar and no case. However, I do jot down as much info about the person and instrument in case I find out later it’s stolen. I take down the serial number, description of the attempted seller, and if I can, get their license plate number. 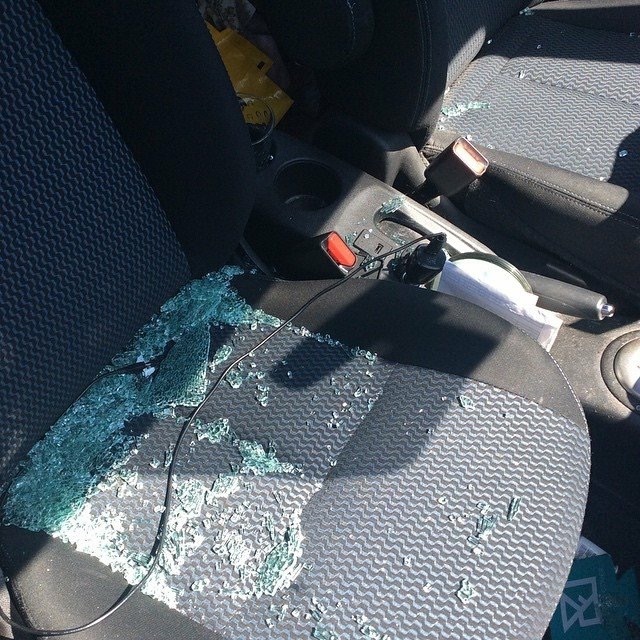 NEVER leave guitars in your car, you’re asking for it, unfortunately. I’ve heard so many horror stories that I’ve slept with my guitars while on out-of-town gigs. SMI: When someone brings in a guitar, what happens? YP: We take an ID/license if a seller. We hold a guitar for 30 days if a sell, and 90 days if a pawn. We run the serial numbers through the police department and a worldwide system online to see if they’re stolen. That’s why it’s important for bands to immediately report them to the police. If a guitar is stolen and you have the serial number and receipt, you have a good chance of getting it back, unlike jewelry, which is hard to trace without indelible marks or engraving. So most likely, you will never see it again. If you do a police report and supply them with the serial numbers, if someone sells or pawns it, that shop is going to run those numbers and discover it’s stolen. SMI: Would it be beneficial to supply photos to police with a report, as well as stop into local pawn shops and provide them with a photo, description, serial numbers, along with their contact information? YP: Yes, supplying a photo and a full description or note of any special markings help. Bands need to insure their equipment, have receipts, descriptions, photos, and serial numbers, report loss to police right away, and quit leaving their instruments and equipment in their cars, vans, and trailers unattended. Unfortunately, bands don’t seem to learn from their mistakes, even after a previous loss. If you take the necessary precautions and your gear is stolen, you have a good chance of getting it back. We welcome bands stopping in to provide us with information to keep a watch. In Part 2: Instrument Insurance: Debunking the myths. Is it affordable? Where do you get it? Cody Beebe of Cody Beebe and the Crooks, shares his thoughts on instrument insurance, his band’s recent experience with instrument theft, how they recovered from a devastating loss while on their first European tour, and tips to prevent it from happening to you! Robin Fairbanks has spent 30+ years in the Music Industry in many capacities. Working in the Seattle music scene since 2006 as a Manager/Booker, she’s known for her ethics and artist development skills. Robin has guided the careers of many, but most notable as the former Manager of Seattle Garage/Blues band Fox and The Law for 3.5 years. Robin has spent the last 2 yrs consulting with Artists who seek her help as a Music Consultant and Publicist with Setlist Music Solutions LLC. She also gives of her time as an advisor to Seattle Wave Radio, an Internet music station where she helped shape its sound as the ROCK Channel Music Director for 2+ yrs upon its launch in 2010 and where you’ll find her music blog, “Bird On A Wire“. In 2014, Robin also worked as a Contributing Music Writer for Guerrilla Candy.